This week we’ve been encouraging the nation to get some much needed R&R – Reading and Relaxation that is. 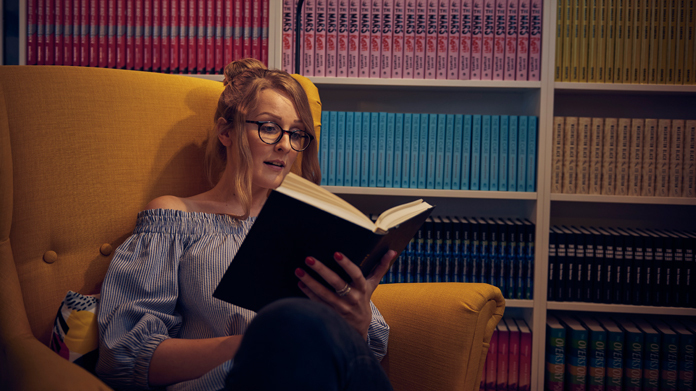 We have been working with IKEA on a very exciting partnership, the Swedish furniture brand has teamed up with The Man Booker Prize to create “The Reading Rooms”: relaxing spaces at IKEA’s flagship store dedicated to reading, designed to help Brits switch off and dive into a book for some well-earned “me-time”. Following the announcement of the long-awaited and prestigious Man Booker Prize longlist, IKEA has played host to a series of book clubs where the public can exclusively read and take away a copy of one of the long-listed titles. The experience is on the back of shocking research which reveals that 21.6 million Brits only read one book when on a Summer holiday and over 10% of Brits have not read a book in the last year. At the end of each day, we are hosting exclusive events at the IKEA Reading Rooms with readings and Q&A’s with various talented authors from the long list, which is being live-streamed to an audience of thousands of people. The team have been selling in with some outstanding results and well over 70 pieces of coverage – highlights include BBC London, Classic FM, City AM, Metro, Time Out (print and online), half a page in the iPaper, pretty much every interiors trade and trend title. And, what’s more, the story has gone global, securing coverage in Germany, France, Italy, Brazil … and it’s still rolling in! If you fancy taking some time out and getting your hands on one of the exciting long-listed books, the Reading Rooms is on until the rest of the week until Sunday.